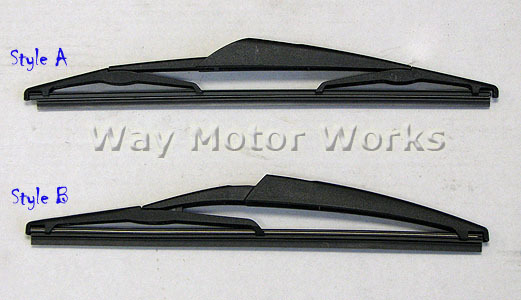 Rear Wiper Blade for R50 R53 MINI Cooper and Cooper S hardtop. The rear wiper blade for the MINI isn't ready available at every parts store. And if you need one you'll find there are two different versions of the blade. Look at the center plastic part of the blade and see the different angle. Match this up with your current blade and order style A or B to ensure you get the right one.